In 2006, my partner (now husband) dared us to move to another country and start a business. I challenged the dare and 3 months later, we had purchased a house with land he had never toured, in a country he had never visited. 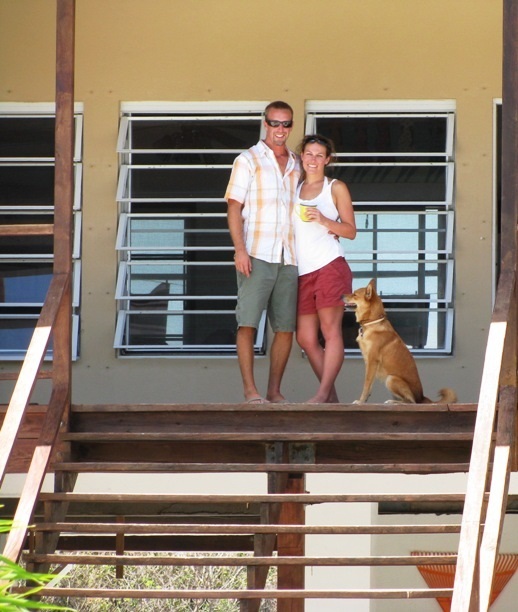 We had no idea how much the decision to open a small grocery store (which we sold in 2013 but it is still going strong-www.matagrandegrocery.com) in our front yard in Belize would change our lives and the way we view life. 10 years later, we still seek the next life adventure. With experience in residing in multiple countries (Belize for 6, Mexico for 1 and of course our hometown Bellingham, WA USA), travel to 35+ countries we are more than just experts in the locations and trips we represent. We have lived them. Today, Jason is a USCG 100 Ton licensed captain who has been a private charter captain for several years in Belize and Alaska. He brings his passion for fishing, kiteboarding, sailing and love of travel to each guest he serves aboard. After spending several years as a Reservation Director for a sailing and travel company in Belize, I have expanded WLMS Charters to include sailing and motor vessel trips to anywhere in the world. With over 400 charters organized and booked, I can plan and foresee most questions, regardless if it is packing advice, hotel issues or transportation logistics, I can answer and assist as needed. Whether you are looking for a last minute get away, or a large group looking for a way to celebrate a lifetime achievement-I am here to help! I’m a sailor, skier, traveler- and a lover of the outdoors and adventure! I’ve spent most of my life in the mountains- living in rural Vermont to Montana to Alaska- and all places in between. I’ve coached skiers of all abilities from beginners to elite athletes- raced competitively and trekked out to find fresh tracks with friends. And then, I jumped into the sailing world with the same fervor- competing, teaching, cruising, and captaining charters…and loving life on the water! I began my sailing career in Seattle- racing a multitude of boats- then venturing out for my first Pacific crossing from Mazatlan, Mexico to Hiva Oa, French Polynesia. After leisurely exploring the islands for several months, I was more than hooked! These experiences led me to Belize (following after Mandy and Jason) and to captaining sailboat charters. I truly feel it is the very best way to experience an island, travel, and it makes for the perfect holiday. After working several seasons Belize and Mexico as a sailboat charter captain, I’m now back in the Provence-Alpes-Côte d'Azur region of France in the Haute-Alpes. I love all that life in this mountainous region has to offer while allowing for easy travel to the Mediterranean, Adriatic, and the Caribbean! My love of the water and charters has brought me to work with at WLMS Charters in working to coordinate the best possible charter for you. Just as I worked with charter guests on boats in Belize, I love to work with guests to design a unique and memorable experience. Whether you’re new to a sailing charter or have ventured out on the sea before, a holiday on the water will not disappoint! Ciao!